The winning team missed THIRTY THREE PERCENT of the total species seen, which once again proves that you have to be in exactly the right place at exactly the right time regardless of your birding skill. Thede, Nils, Buzz, & Keys chalked up 31 species. Sonja, Frank, & Chris discovered 30, and Pat & Jennifer were only one behind at 29. But the species they tallied varied hugely. 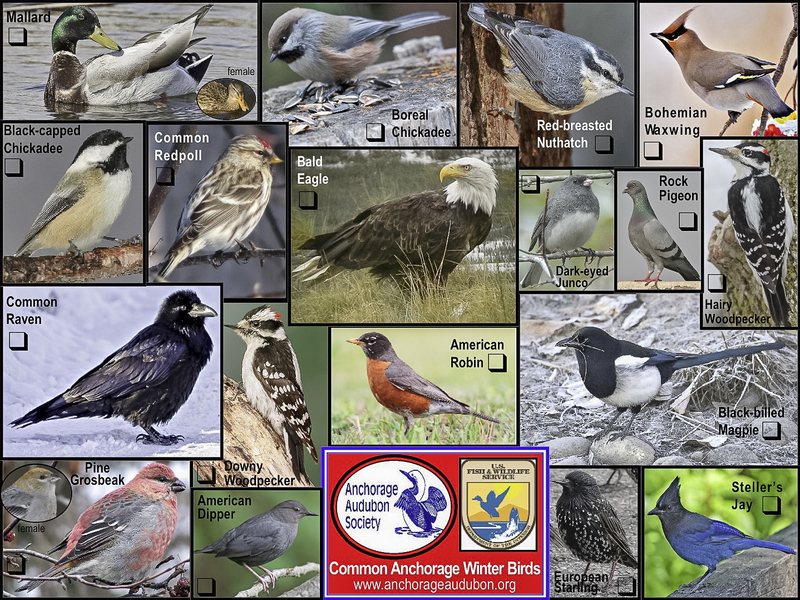 Eleven species were seen by only one team: Canada Goose, Trumpeter Swan, Sharp-shinned Hawk, Herring Gull, Townsend’s Solitaire, Glaucous-winged Gull, Boreal Owl, Great-horned Owl, American Three-toed Woodpecker, Chestnut-backed Chickadee, and Red Crossbill. Night time owling was extremely difficult with only Pat & Jennifer finding ANY owls after dark. All other participants would have been better off drinking whiskey sours and going to bed by 9 o’clock. 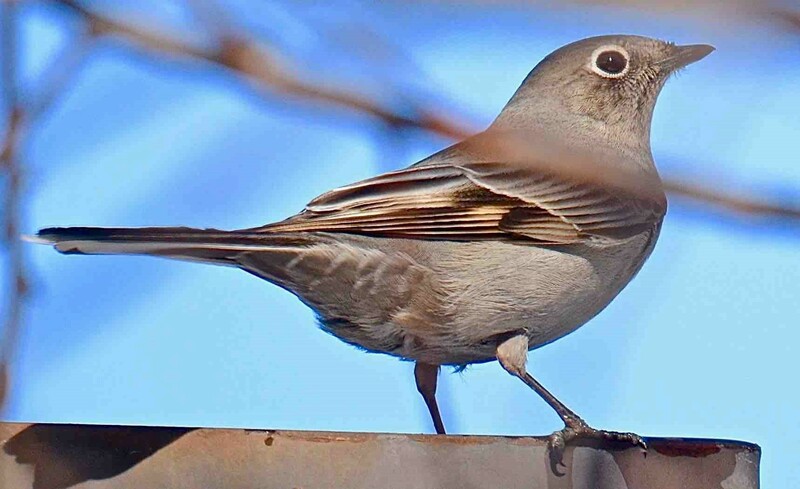 The First Day Of Spring paid off with 4 newly arrived migrant species. Canada Goose, Trumpeter Swan, Herring Gull, and Glaucous-winged Gull were among the first of their kind seen this year. In addition, the winning team almost cheated. 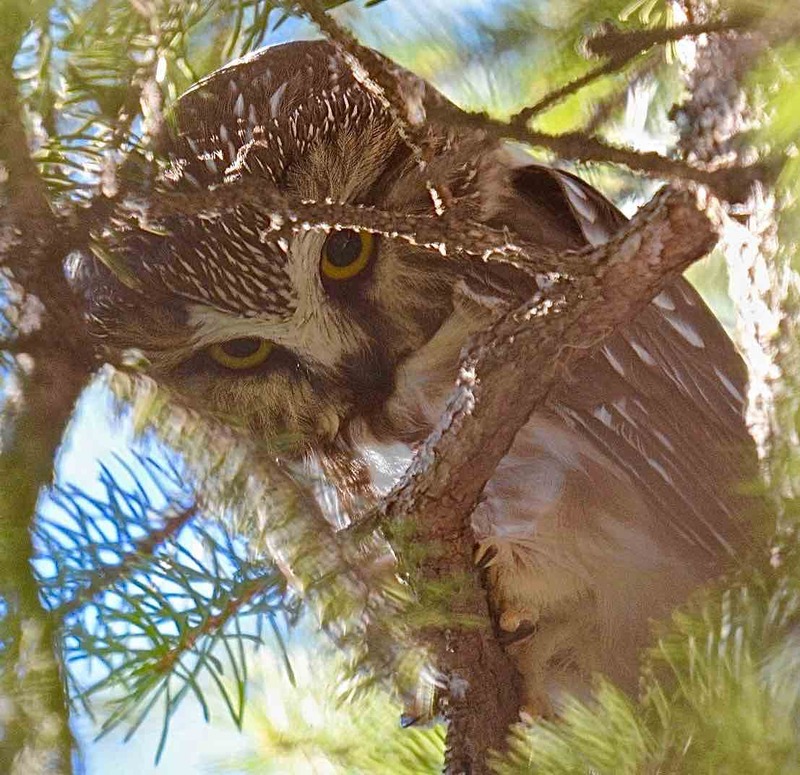 They received a call at 3:00 in the afternoon about a Northern Saw-whet Owl roosting in a tree in John’s Park. They raced out to find it in spite of the fact that outside-the-team assistance is frowned upon. While watching the owl, a SECOND Saw-whet unprecedentedly called from across the park IN THE DAYTIME. This is highly unusual, but made the species legal beyond reproach. There were surprises everywhere, and in contrast, only one team was able to scare up a Chestnut-backed Chickadee in Girdwood where they are relatively common. It was just one of those days. At the day’s end tally party, the cash prize of $1 per species was awarded to the winning team. 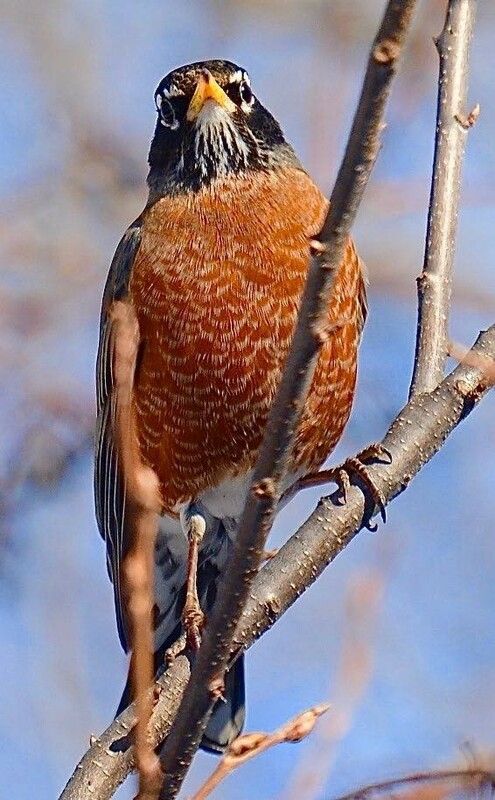 Each member received $7.50 for 16 ½ hours of birding. This worked out to 45 cents per hour, which they philanthropically donated back to The Anchorage Audubon Society. The Board has assured us that the donation will be used to make the world a better place.